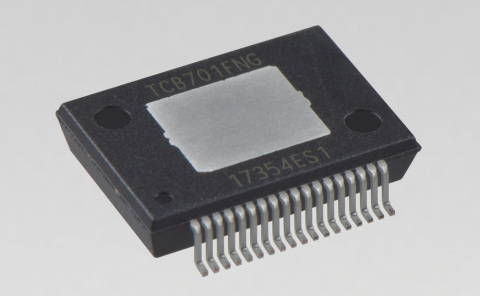 Toshiba Electronic Devices & Storage Corporation today announced a new 4-channel high-efficiency linear power amplifier "TCB701FNG," that meets current market requirement for high efficiency. Sample shipments will start in January, 2018. With "TCB701FNG," the company has improved on its technology to realize efficiency comparable with a digital high efficiency, class D amplifier in actual operating range (0.5 to 4W). Power consumption is cut by up to 90% of that for a typical class AB amplifier. • I2C bus control allows diagnosis of errors such as cross output connection. • Various detections are selectable from two or more settings, such as a gain, mute time constants and temperature. • Can be used as both a power amplifier and line output amplifier.